Rich has an upcoming show on First Thursday, May 3rd, 2007 at the Lisa Harris gallery. Read on! Did you know we have an established visual artist living among us? 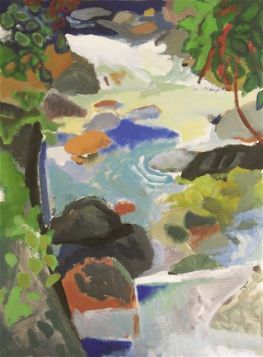 Rich Morhous (2915A) has been creating artwork in the Pacific Northwest for decades and is currently represented by the Lisa Harris Gallery in the Pike Place Market. The gallery describes Rich’s work as 'pushing conventional boundaries of color and perspective in landscape with a focus on urban settings and interior views.' He and his partner, Dee Smith, have lived at the L'amourita (2915A) since 2002. You can visit the gallery that represents Rich's work online at www.lisaharrisgallery.com.